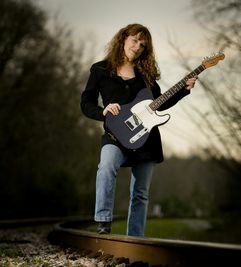 Singer, guitar player and songwriter Debbie Bond has been paying her dues in the Alabama backwoods for over 30 years backing many traditional Alabama blues musicians in the US and Europe, including Eddie Kirkland, Jerry "Boogie" McCain and Willie King. She is a blues activist and founded the award winning Alabama Blues Project, a non profit that promotes and preserves Alabama blues. In recent years she has turned to fronting her own band and performing her own music. Debbie's singing has been compared to Maria Muldaur and Bonnie Raitt, both of whom she cites as musical influences but the truth is that Debbie does it her way. Her immersion in the blues has deeply flavored her guitar playing, soulful voice and original song writing, yet her sound is contemporary and original, incorporating soul, blues, rock, jazz and even country influences. 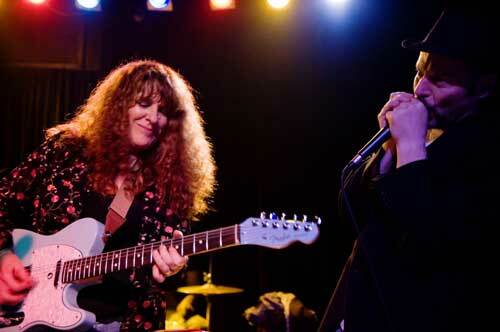 Her partner in life and music, British born Rick Asherson, is an outstanding keyboard player and gives their music a honky-tonk, New Orleans flavored sound. This unique musical synthesis can be heard on her latest album. Born in California, her family moved to Europe when Debbie was eight years old. 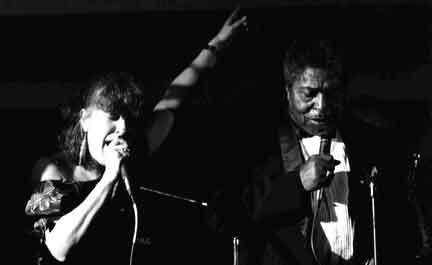 In 1979, Bond moved back to the US and settled in Alabama where she worked with many of the blues masters, sharing her band with the late, great Johnny Shines. Together, they performed at many Southern clubs and festivals from 1981 until his death in 1992. She continued to work alongside great Alabama bluesmen, such as Jerry Boogie McCain, James Peterson, Eddie Kirkland, Sam Lay, Little Jimmy Reed, Willie King and more. 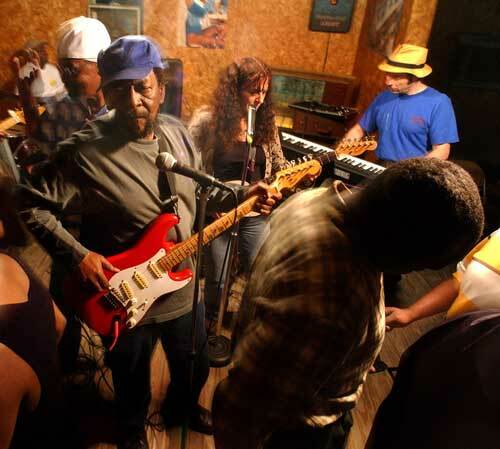 Inspired by Johnny Shines, Bond co-founded the Alabama Blues Project to promote and preserve the state's blues heritage in 1995. That year she also toured England, Ireland, Scotland, Germany and Luxemburg opening for the Alabama duo Little Whitt and Big Bo. In 1997 she was included on a live compilation, Alabama Blues Showcase, released by the Alabama Blues Society. Through this period Bond continued to perform with her own band at clubs and festivals in Alabama; a regular at City Stages, Kentuck Festival, W.C. Handy Festival and the Chukker. 1998 saw the release of her debut album, What Goes Around Comes Around. 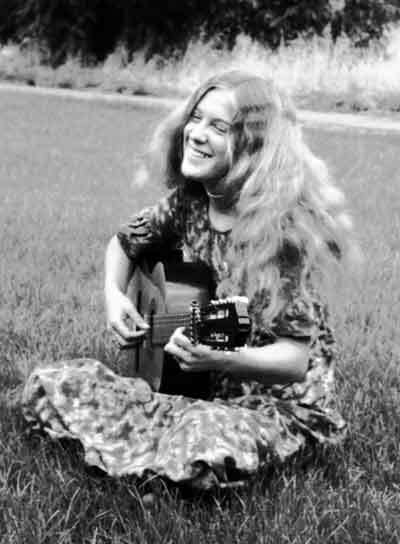 In 2001 she was featured as one of the artist on Germany’s Taxim Records' compilation Blues From the Heart of Dixie. With the Alabama Blues Project, she performed many "Blues in the Schools" programs and showcase concerts, often with Big Bo McGee until his untimely death in 2002. She returned to school during this period to enhance her blues education work and received an MA in American Studies, specializing in the blues, in 2002. That year she also received an Alabama/Georgia State Council on the Arts Apprenticeship Award to study guitar with Eddie Kirkland, with whom she often performed and presented school programs until his death in 2011. In 2002 she restructured the award-winning Alabama Blues Project (ABP) into an educational non-profit. The ABP school programs and showcases featured many of the great Alabama blues musicians with whom she regularly performed. Through the ABP she impacted thousands of students of all ages and received multiple arts and education awards, including a KBA from the Blues Foundation in 2004. Bond is also listed as an Alabama Music Hall of Fame Music Achiever. 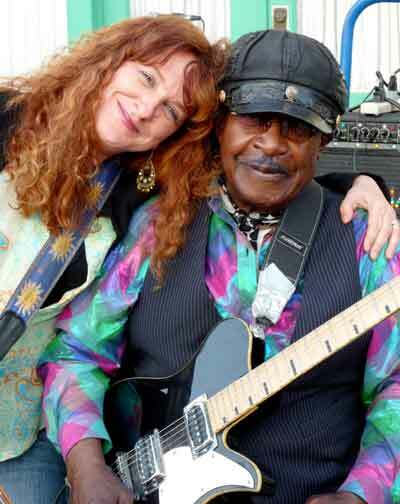 Bond played second guitar for Alabama blues man Willie King in his band the Liberators from 2003 until his death untimely death in 2009 and also recorded on his last two albums. With King, she toured in the US from backwoods house parties and juke joints to well-known venues and festivals, including King's own Freedom Creek Blues Festival in Old Memphis, AL, the Highway 61 Blues Festival in Leland, MS, Ground Zero Blues Club, the Sunflower Festival and the Juke Joint Festival in Clarksdale, MS, the great King Biscuit Festival in Helena, AR, and the Richmond Folk Festival in VA. Overseas, Bond performed with King at many European festivals, including the Cognac Blues Passions Festival in Cognac, France, the Roots and Blues Festival in Parma, Italy, and the Blues 'n' Jazz festival in Rapperswil, Switzerland. It was through Willie King that she met British keyboard/harmonica player Rick Asherson and they soon formed a musical and life partnership, including getting married on Freedom Creek with Willie King as their best man! from the City of Mobile's Arts Alive Festival to the Ritz Theater in Muscle Shoals. The Alabama Bureau of Tourism declared 2011 to be the Year of Alabama Music and Debbie has featured in many Alabama music promotions, including The Oxford American, Southern Living Magazine and a PBS documentary on Alabama music. 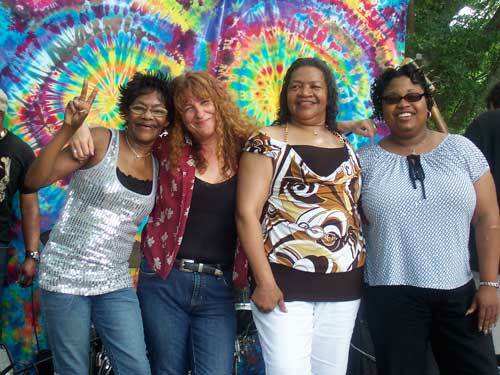 Last but not least, after years of immersion in Alabama blues, Debbie is now focusing on her own original music. In late 2011, she released her sophomore album, Hearts Are Wild and in 2014 her critically acclaimed live CD, That Thing Called Love.Her most recent album, recorded in Muscle Shoals and released in April 2016, is Enjoy The Ride.